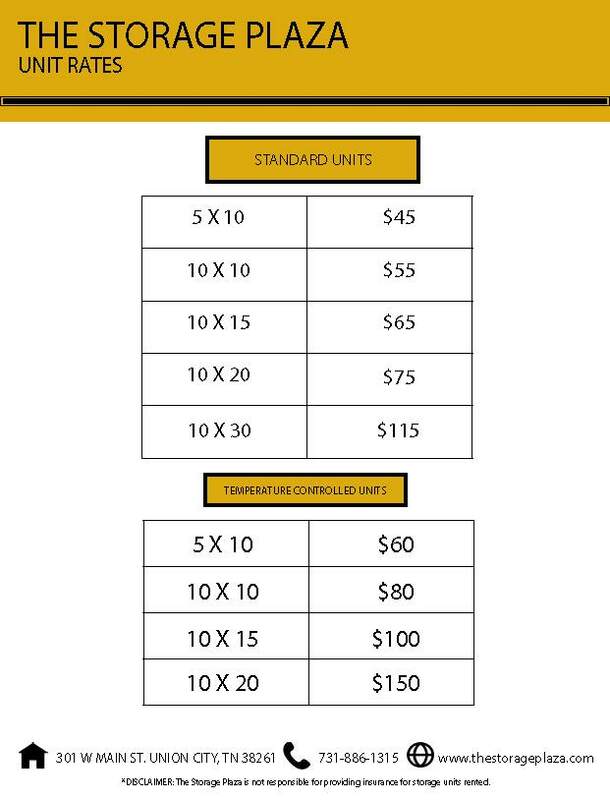 At Storage Plaza of Union City, TN, we strive to maintain competitive pricing based on unit size. 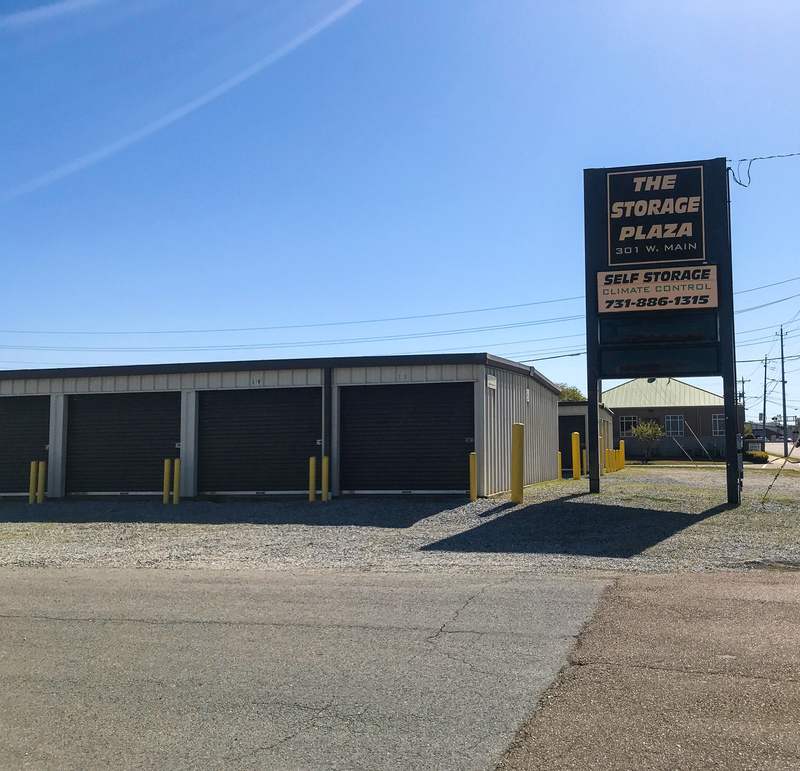 The Storage Plaza of Union City, TN has the right size space. All of our Units are perfect for your every need. 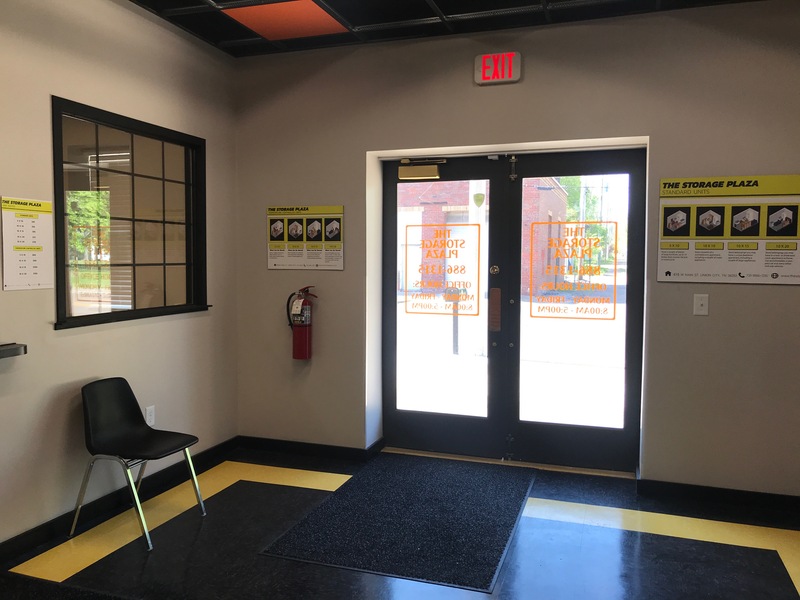 The Storage Plaza of Union City, TN has Video Surveillance at our temperature controlled units. We are the right place to trust. Concerned about temperature fluctuation? 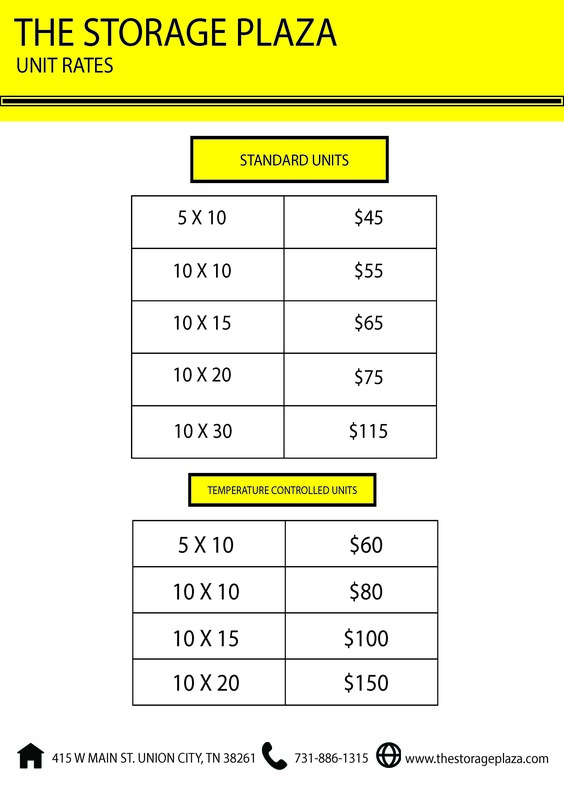 The Storage Plaza of Union City, TN offers Temperature Controlled units. 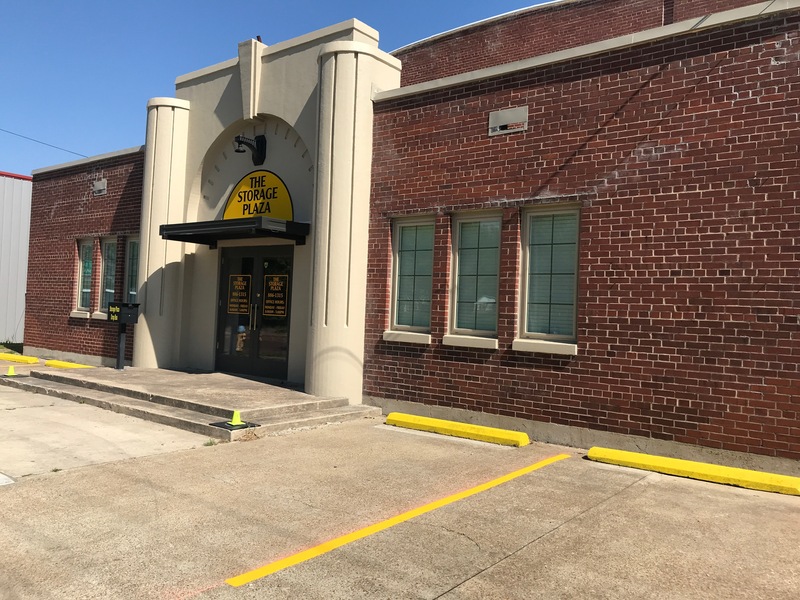 The Storage Plaza of Union City, TN is the answer to all your self storage needs, whether they are long-term or short-term. 5 x 10 size self storage unit is the size of a small walk-in closet. It typically fits furnishings of a mid-sized bedroom, including a queen-sized bed, a dresser, a TV and several small to medium-sized boxes. 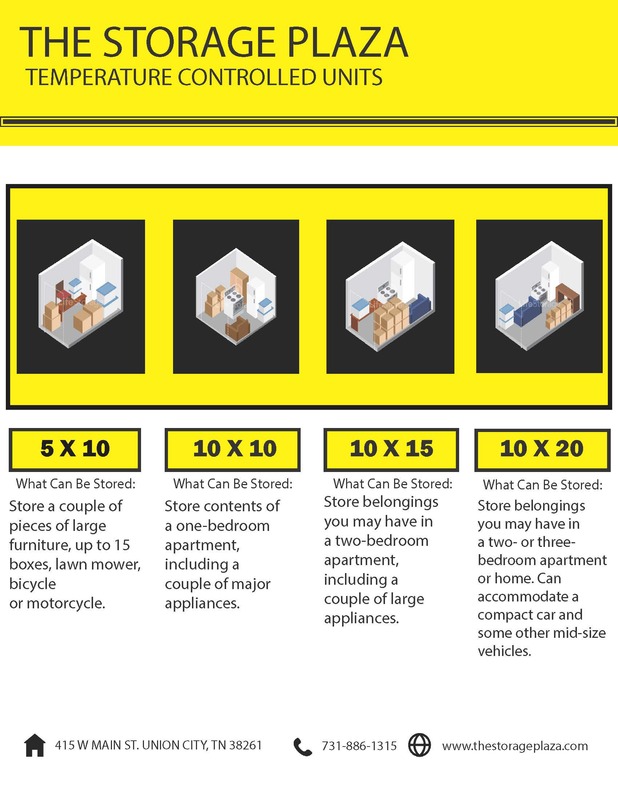 10 x 10 size self storage unit is the size of half of a standard one-car garage. It typically fits the contents of an entire family room or two full bedrooms, including several small to medium-sized boxes. 10 x 15 size self storage unit is a little smaller than a standard one-car garage. It typically fits the contents of three full bedrooms and larger items such as a piano, couches, tables, or large-screen TVs, plus several medium to large-sized boxes. 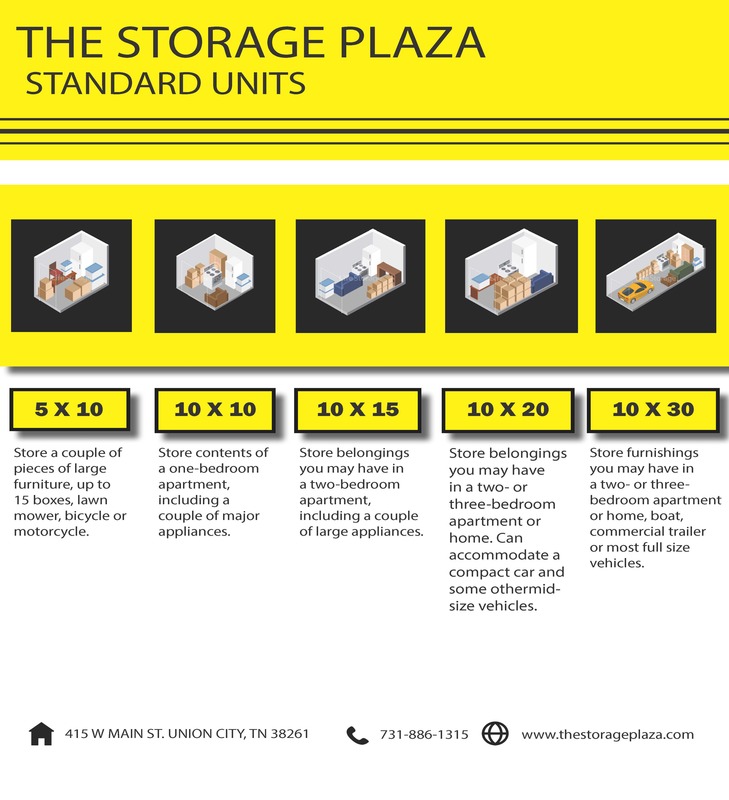 10 x 20 size self storage unit is the size of a standard one-car garage. It typically fits the contents of a multi-bedroom house, including several oversized items like a couch, a refrigerator, a washer/dryer and a dining room set or several large boxes. 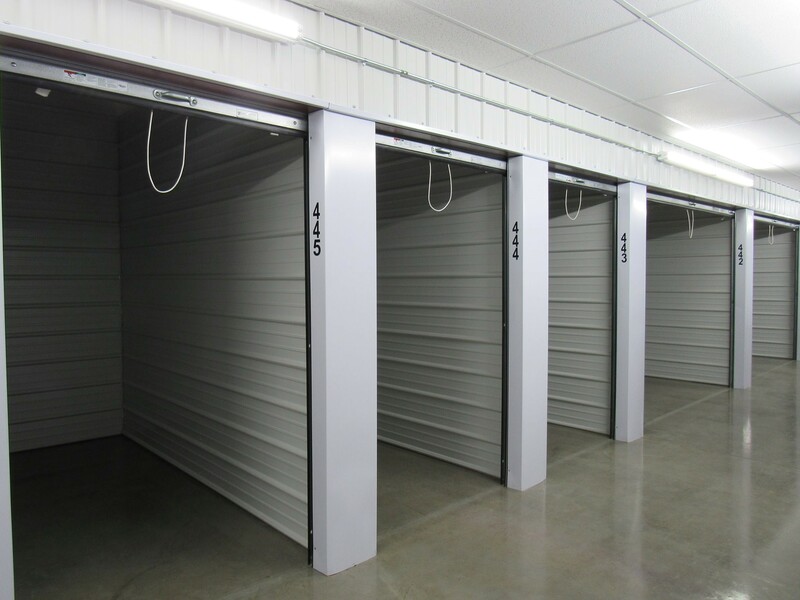 10 x 30 size self storage unit is as large as a one and a half car garage. It typically fits the contents of a fully furnished 3-5 bedroom house, including oversized items such as a couches, beds, dressers, a refrigerator, a washer/dryer, a dining room set, an entertainment center and several large boxes.